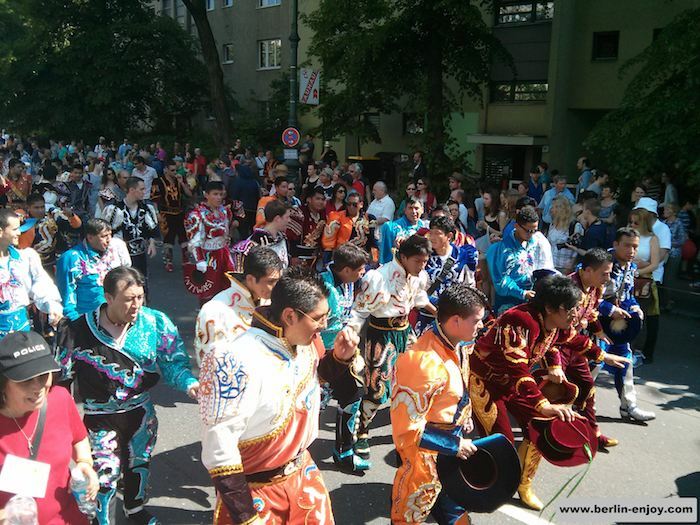 Every year in the beginning of the summer the annual Karneval der Kulturen is organized in Berlin. From all over the world thousands of people come to see this multicultural spectacle. 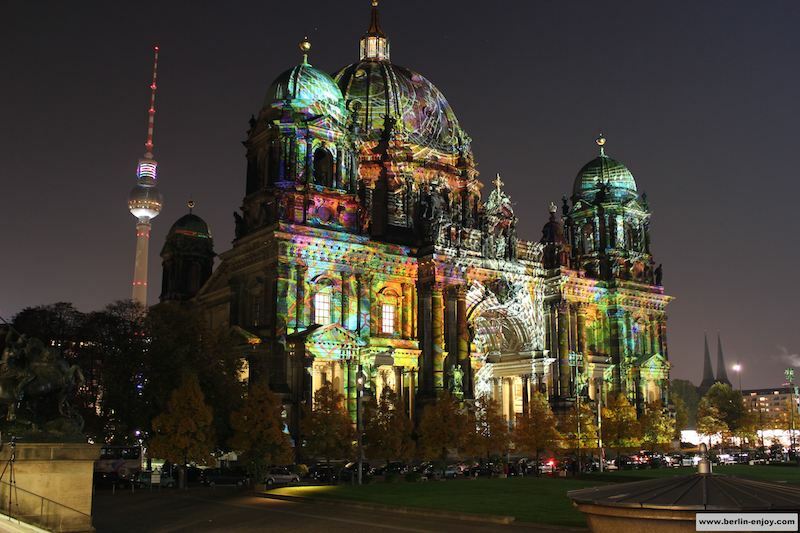 Also in 2017 you will be able to enjoy the great mix of music, food and culture of Karneval der Kulturen in Berlin. This article will describe what you can expect during the event in the beginning of June. The first Karneval der Kulturen was organized in 1995. Just like the last 22 years, the festival will be organized during the pentecost-weekend. This year the festival will take place from 2-5 June. 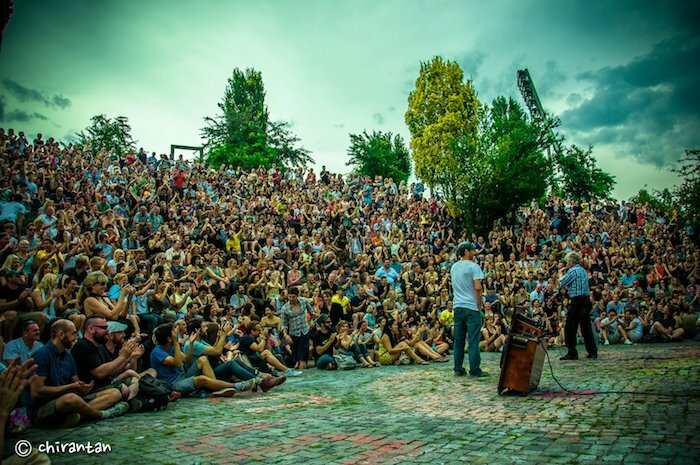 During the Karneval der Kulturen you can expect a great mix of both music and culture: About 100 different bands and many talented DJs will be performing throughout Berlin. You can enjoy versatile music-styles and performances on different stages. If you want to read more about the locations and the program of Karneval der Kulturen you can have a look on the official website. 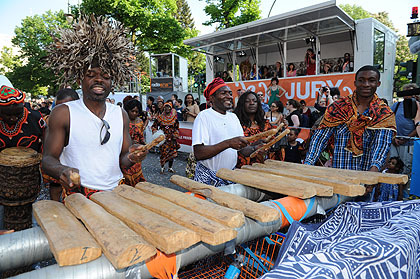 The most popular part of Karneval der Kulturen is the so called “Straßenumzug”. In 2017 the Straßenumzug will be organized on Sunday the 4th of June. 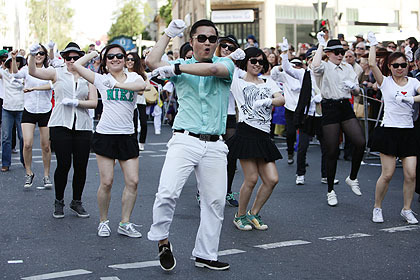 This part of the yearly festival is a large parade through the streets of Berlin. The parade consists of thousands of enthusiastic people from countries all over the world who dance, sing and perform to impress the spectators. Last year groups with more than 75 different nationalities participated in the parade and they expect up to 5000 participants in 2017 as well. People come from all over the world to see this spectacle and this year the organization expects 1,3 Million visitors (throughout the whole event). 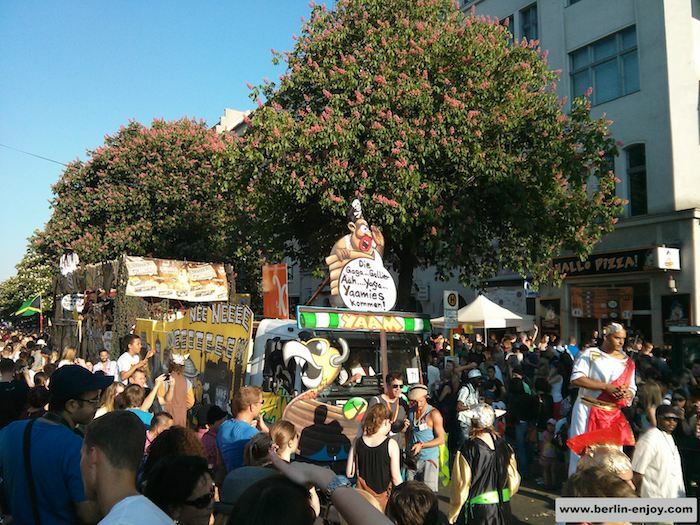 The Straßenumzug from Karneval der Kulturen starts on Sunday around 12.30 at Hermannplatz (Neukölln). Then, taking about 9 hours, the parade finds its way through streets like Hasenheide, Gneisenaustraße and the Yorckstraße and finishes close to the Möckernstraße between 21.00 and 22.00. Because it is very busy in Neukölln in the weekend of Karneval der Kulturen, it is advisable to avoid stations like Mehringdamm and Hermannplatz. It is better to travel to surrounding stations and walk the last 10-15 minutes. 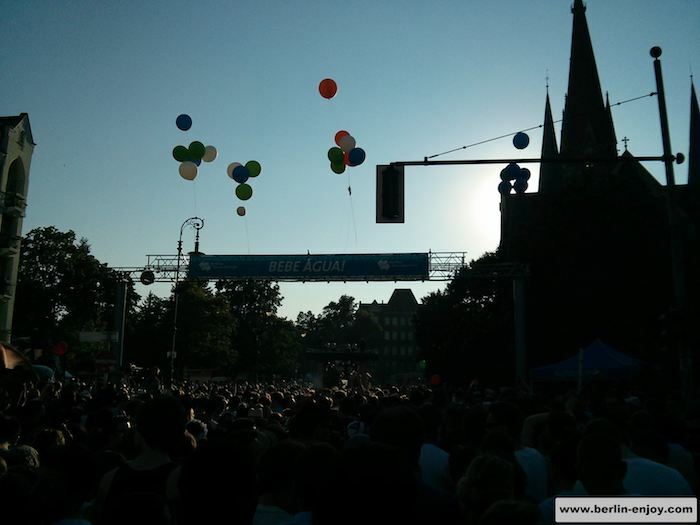 Karneval der Kulturen is a great mix of both party and culture. You can enjoy many talented DJs (In 2013 Alle Farben was performing) but also see beautiful costumes from Africa and national dances from Senegal to Australia. Besides that you can enjoy all kinds of lovely international food and the atmosphere is just perfect. Karneval der Kulturen is a free festival and everybody is welcome to visit the multicultural event. Many clubs and bars also participate but most of the time they have additional rules and sometimes you will have to pay for the entrance. There are plenty of places who sell food and drinks: You can find several stands with very tasty food from all over the world. Also beers and other alcoholic drinks can be bought everywhere. It is also allowed to bring drinks from home by the way, so if you want to save some money you can bring your own. Personally I would enjoy the culture during the day and find your way to one of the parties somewhere in the evening. There will be plenty of open-airs in Berlin and besides that you can also visit one of the clubs. If the latter is something you are interested in, you might want to take a look at our monthly party-calendar. Below you can find the map of the Straßenumzug of Karneval der Kulturen of 2017. As you can see, the parade mainly takes place on the streets Gneisenaustraße and Yorckstraße. This is great because it is a very vibrant part of Berlin and there will be plenty of nice places to have a drink or enjoy some food.